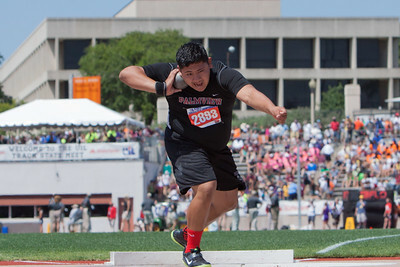 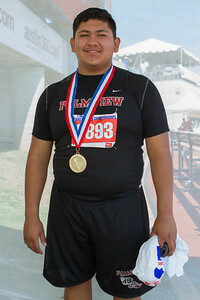 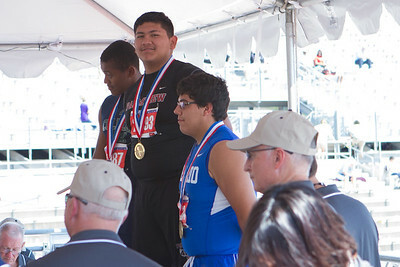 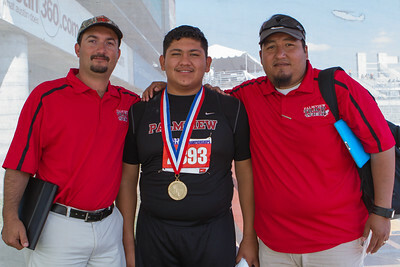 Palmview's Felipe Valencia has claimed the state championship in the shot put with a throw of 60' 5.25" at the Texas UIL 5A State Track & Field Championships in Austin on Satruday. 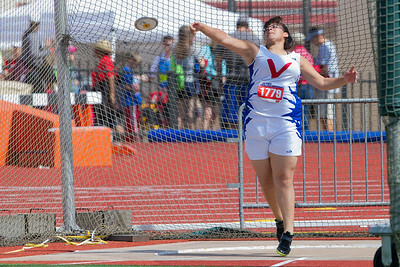 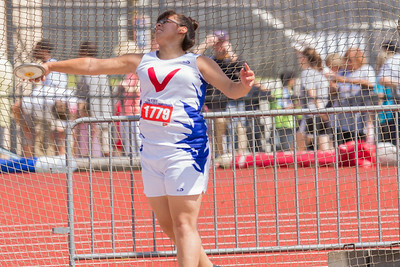 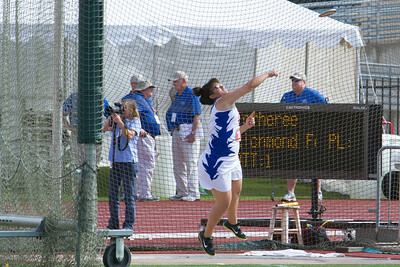 Competitors in the UIL Texas, 4A Track & Field Girls Discus event Championships included Keilah Garcia of Mission Veterans Memorial (1779) who took 4th place; Heather Scheetz of El Paso Hanks (1322) who took 3rd place; Haley Teel of Gregory-Portland (1472) who took 2nd place and Nekia Jones of Beaumont Ozen (1072) who took 1st place in Austin on Friday. 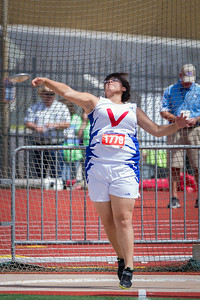 Keilah Garcia of Mission Veterans Memorial took fourth place at the Texas State UIL 4A Track & Field Championships in the Girls Discus event with this best throw of 132.01 feet in Austin on Friday. 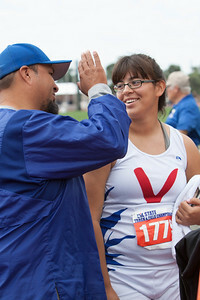 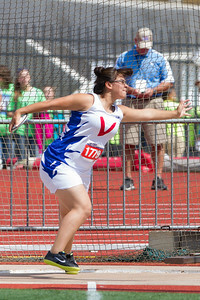 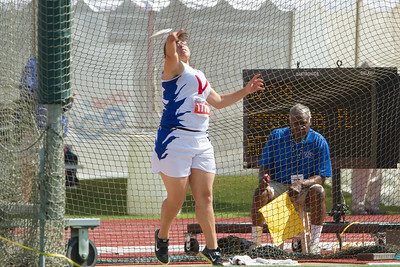 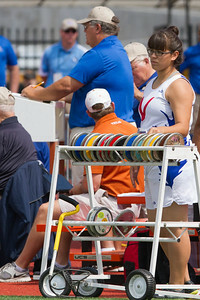 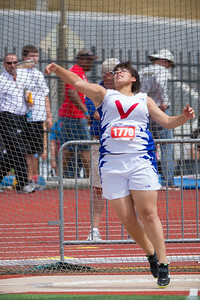 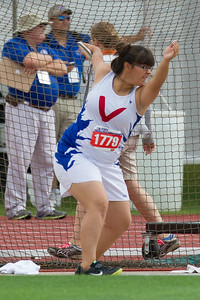 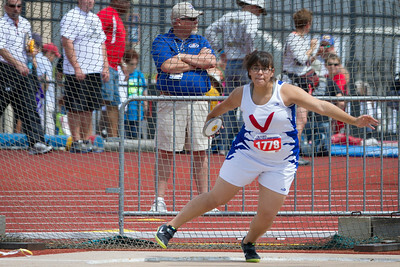 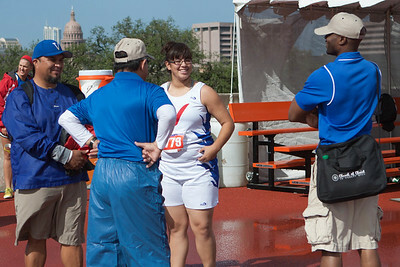 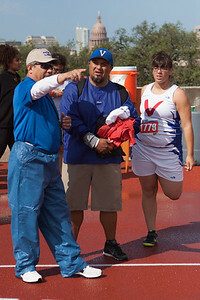 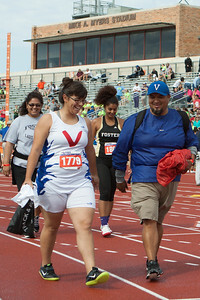 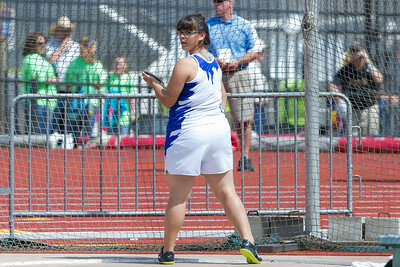 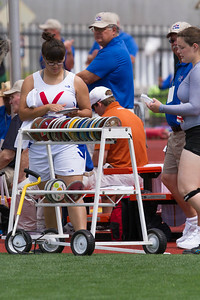 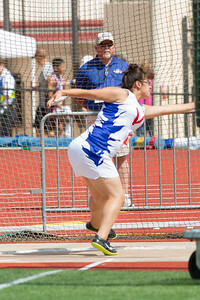 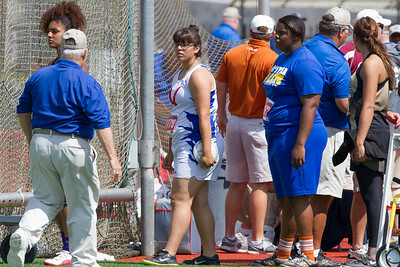 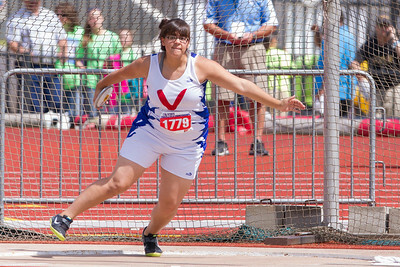 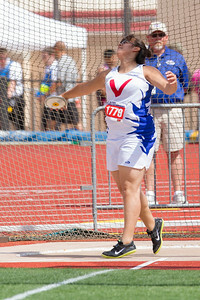 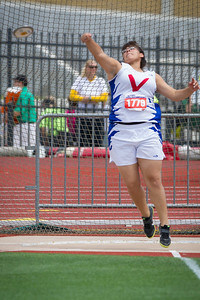 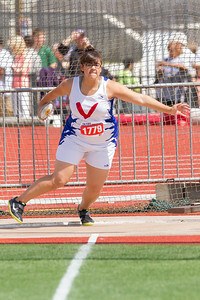 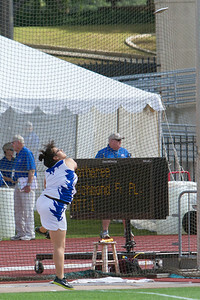 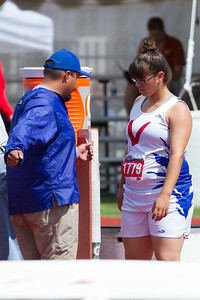 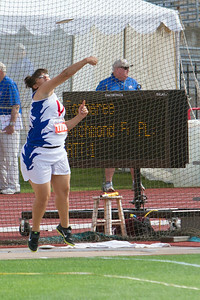 Keilah Garcia of Mission Veterans Memorial took fourth place at the Texas State UIL 4A Track & Field Championships in the Girls Discus event with a best throw of 132.01 feet in Austin on Friday. 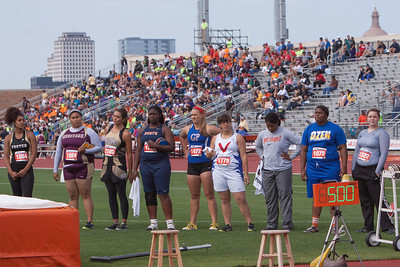 Nekia Jones (in blue) of Beaumont Ozen took first place with a best throw of 149.09 feet. 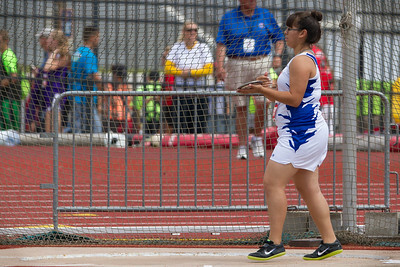 Keilah Garcia selects a discus next to Heather Scheetz of El Paso Hanks. 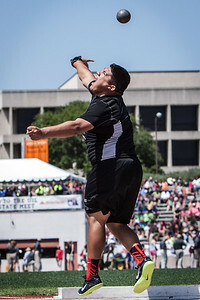 Scheetz took 3rd place with a best throw of 133.07 and Garcia took 4th place with a best throw of 132.01 feet.